Store loyalty cards are extremely popular and two out of three people in the UK hold at least one loyalty card. There are many different misconceptions regarding loyalty schemes so sorting out the facts from the myths can be beneficial. If they are used correctly then loyalty cards can earn customers discounts, rewards, and cashback over a period of time. However, the stores do know that getting customers into the stores is a major plus point. Loyalty cards are designed to create repeat customers. Many people will buy items in stores where goods may be higher in price simply because of the loyalty factor and to keep collecting points. A complete myth and one that some customers are still not aware of. Loyalty cards hold a huge amount of customer information. Stores can pin point the exact spending habits of a customer by analysing the information on loyalty cards. The stores can tell how much toilet paper a person uses each month, when there is a new baby in a family, even when a customer has a cold. All of this information is assimilated in order to increase customer spending. Loyalty cards are designed to get customers to spend more money. Stores can pin point what a customer buys then set out stores accordingly. They will place goods together on shelves that may entice the customer to buy the other goods. Stores will also use selling tricks such as discounts off higher price goods that customers may find appealing. The customer information held on store loyalty cards is analysed right down to the individual customer’s spending habits, and it’s analysed to benefit the store not the customer. Not always true as money can be saved with loyalty schemes. If customers regularly shop at the same store then points can be built up and bring good discounts. Stores will also have special points promotion days where purchased items can provide double and triple points. Never let a store dictate where you can shop in order to collect loyalty points. If goods are less expensive elsewhere then buy elsewhere rather than collect a few points. This is a myth; if you know where to look you can make good savings. 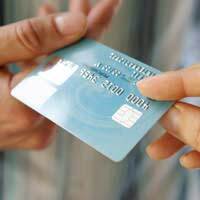 If you are taking out a credit card then look for a loyalty scheme credit card with an introductory offer. This can sometimes be as much as 5000 points providing you make a minimum spend within a certain time limit. A certain credit card recently gave up to £2500 off a new car if you signed up with their company. However, there are usually certain stipulations and there may be hidden catches to look out for. If you get fed up of hearing the sales assistant repeatedly asking you for their loyalty card then this may be true. But you can save money with loyalty cards without putting in much effort. Even shopping online can bring extra rewards when it comes to loyalty points. Loyalty schemes basically provide a discount on your next purchase and should be used when possible. Customers will always shop at different stores so it makes sense that they have different loyalty cards. You will not get every item you need in a supermarket; well almost every item but not quite. It makes sense to have loyalty cards for the stores that you frequent the most. If more than one person in your family shops at the same store then make sure to pass the loyalty card over when they go shopping to maximise the points. This all depends on the loyalty card that is used. Certain credit cards do reward customers with annual cashback amounts depending on how much has been spent. Loyalty cards convert points into pennies so it’s a discount on goods and still a saving. Always use the points obtained or stores will benefit twice; once when you spend and again when you don’t use the points. Loyalty schemes are a benefit to the companies that supply them. You will never get something for nothing, even if that is how the loyalty schemes are advertised. However, you can make a saving with loyalty schemes, and if you are a frequent shopper at one store then the loyalty schemes do make sense.